The phone call comes from New York, seven hours behind Athens. A Syrian woman in the United States is trying to trace her cousin and uncle. She believes both died trying to cross the Aegean from Turkey to Greece. She wants to know for sure and she may want their bodies back. 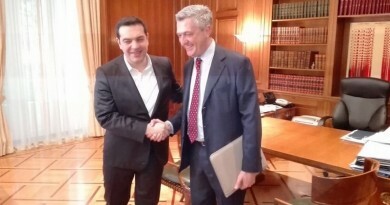 Penelope Miniati, the new head of Greece’s criminology service, takes the call. She sees no bodies but her job is to make sure the souls of those who have died are laid to rest. She has, almost single-handedly, supervised the country’s DNA service from its inception. It is now a crucial link for thousands trying to trace children, mothers, fathers, brothers and sisters missing on the dangerous crossing from Turkey to Greece in the past year. About 4,400 people have died in the Mediterranean since 2015. 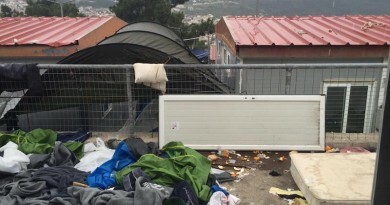 The refugee crisis has meant that the DNA lab, located in an Athens suburb, has gone from dealing with about 30 cases a year on average to as many as 70 in two days, as happened last summer after two major shipwrecks in as many days. From last year up to March 20 this year, Greek authorities reported 571 people dead or missing on the route from Turkey to Greece. Miniati, a graduate of the universities of Toledo in the United States and Crete, Greece, set up the country’s first DNA lab in 1994 with two other women. The team now numbers about 55 scientists and she is the only original member left. She says that, as a result of her US education, she insisted that the lab, formally called the Greek Police’s Subdivision of Biological and Biochemical Examination and Analyses-DNA, was the central repository for all genetic material. This will enable the efficient exchange of information with other states and services in the future. Greece’s worst aviation accident, the crash in 2005 of a Helios Airways plane that killed all 121 people on board, was instrumental in teaching her and her staff about the identification of disaster victims, particularly of small children and families, who are more difficult to identify because they are genetically similar. With children accounting for 38 per cent of those on the move, the chances of them drowning on the crossing from Turkey to Greece have grown proportionately. An average of two children a day drown, according to UNHCR figures. Miniati’s staff do not see the bodies but they deal with personal belongings, such as teddy bears and toothbrushes, brought in by relatives to help establish DNA matches. Besides the sheer volume, there are more specific aspects to the refugee crisis that have made the work of the Greek DNA lab crucial. Many of the dead are identified immediately, but DNA is often used to identify bodies found at sea after decomposition has set in, making it difficult to use fingerprints or dental, surgical or medical records from the refugee’s home countries, such as Syria. The Syrian woman is sure her uncle and cousin were in a shipwreck at the end of October last year, when a total of 221 people died, the deadliest month on record in 2015 for the crossing to Greece. Aristea Methenitis, the biologist who took the call said some sleuthing was required. The date of the shipwreck did not tally with the dates they had in Greece, but there was one two days later, she said. The use of DNA testing has been criticised in some circumstances as intrusive and a means of restricting family reunification, but it will remain an important tool now and in the future in proving kinship when supporting documents are unavailable. More than 90,000 unaccompanied or separated children registered and applied for asylum, or were in care in Europe last year, mostly in Germany and Sweden. DNA testing will be increasingly important for reuniting unaccompanied minors with relatives. Citing a recent example in Greece of a 14-year-old unaccompanied minor, Miniati said it was extremely important to establish that there was a biological link between the youngster and the man who said he was his uncle. For the Syrian woman in New York, the search for her cousin and uncle will continue via DNA and diplomatic channels. She has already filed a missing persons report with the International Committee of the Red Cross (ICRC) in New York and will send a DNA sample from her aunt, the sister of the missing uncle, to Athens via the Greek diplomatic mission to be matched against what is in the Greek missing persons database. Report by Maria Petrakis, Athens. 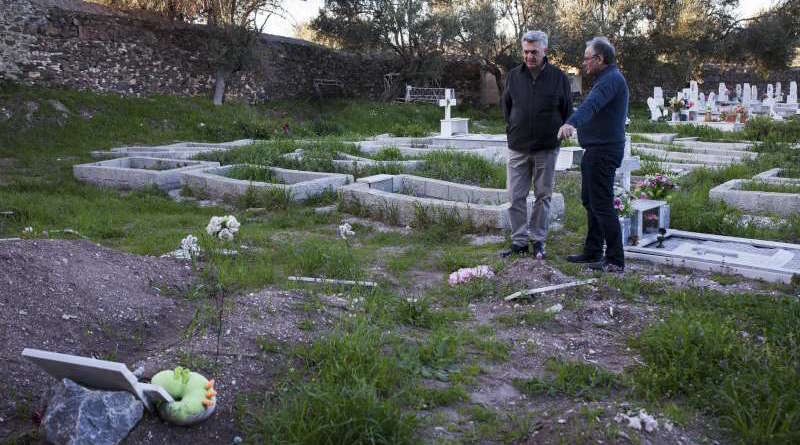 Photo: UN High Commissioner for Refugees Filippo Grandi and Director of Bureau for Europe Vincent Cochetel visit the Agios Panteleimonas cemetery in Mytilene to pay their respects to refugees and migrants who lost their lives trying to cross the Aegean sea from Turkey to Greece.